Researchers from Rush University Medical Center and the University of Michigan Medical School have developed a new method of tracking the spread of antibiotic-resistant bacteria, according to a news release. The research was supported by funding from the Centers for Disease Control and Prevention’s Prevention Epicenters Program, the National Institutes of Health and the National Science Foundation. Here are three things to know about the approach. 1. 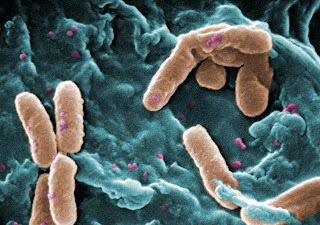 It was developed through analysis of data from the 2008 outbreak of carbapenem-resistant Klebsiella pneumoniae in the Chicago area along with modern genetic analysis techniques. 2. The research team was able to model and predict how the organism spread between and within healthcare facilities. The approach was able to identify where the outbreak began and if the bug was spreading within a facility (hospital, nursing home or long-term acute care hospital) or if a patient transferred from another facility brought it to the facility. 3. This approach identifies the full superbug DNA from infected patients, making it is possible to use changes in the DNA to track the spread within and between healthcare facilities. The researchers hope that the approach may enable interventions that would prevent the transfer of drug-resistant organisms among healthcare facilities. This research was published in Science Translational Medicine. Access it here.